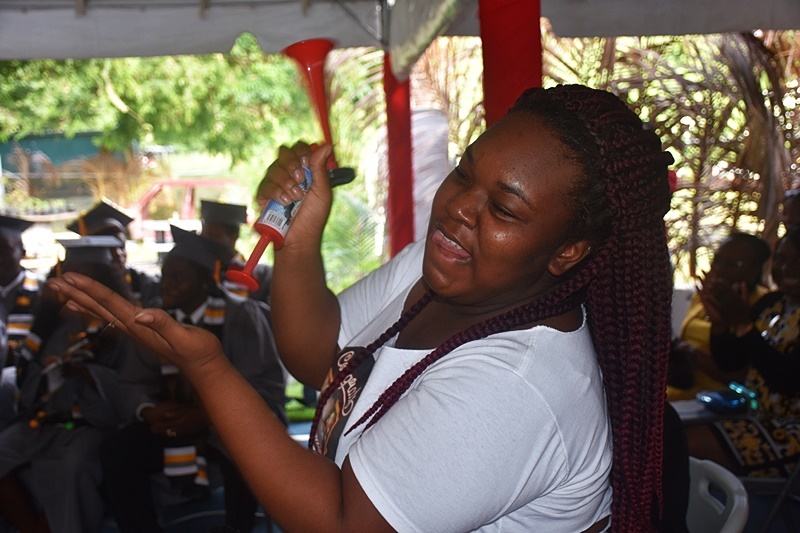 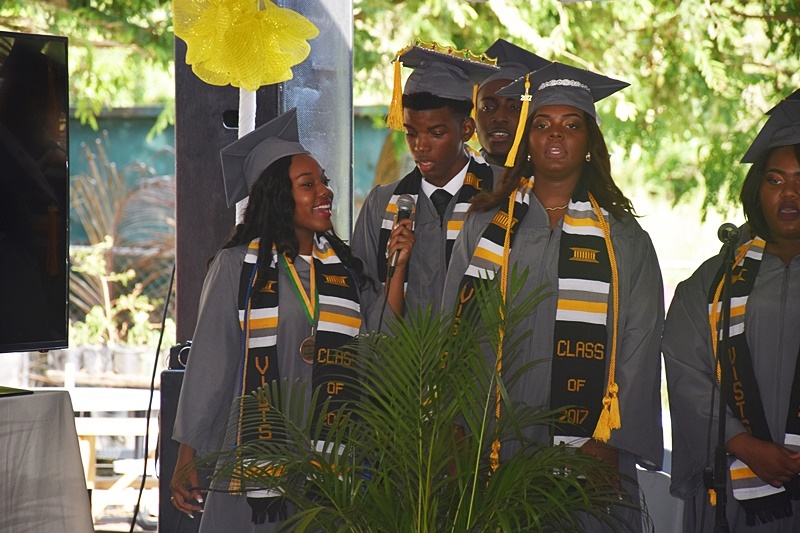 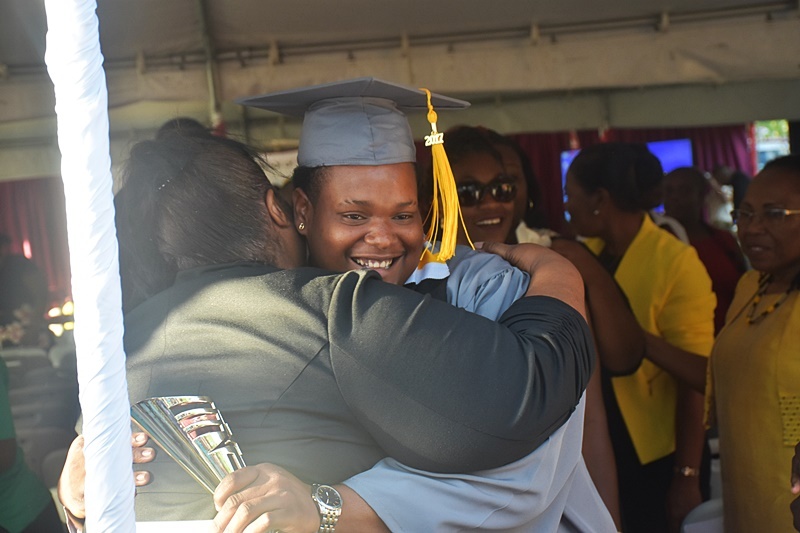 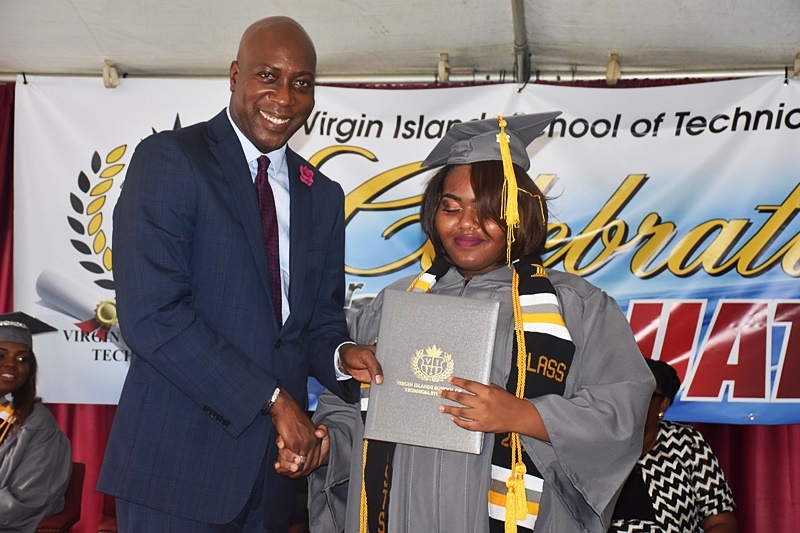 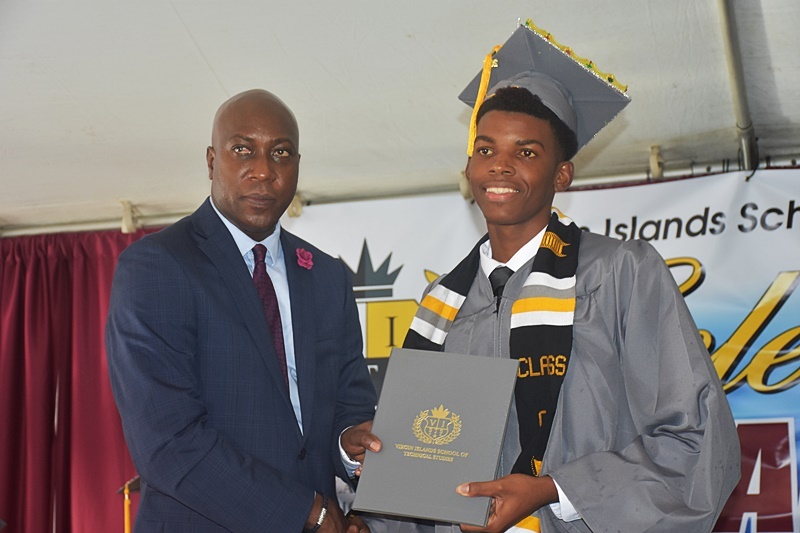 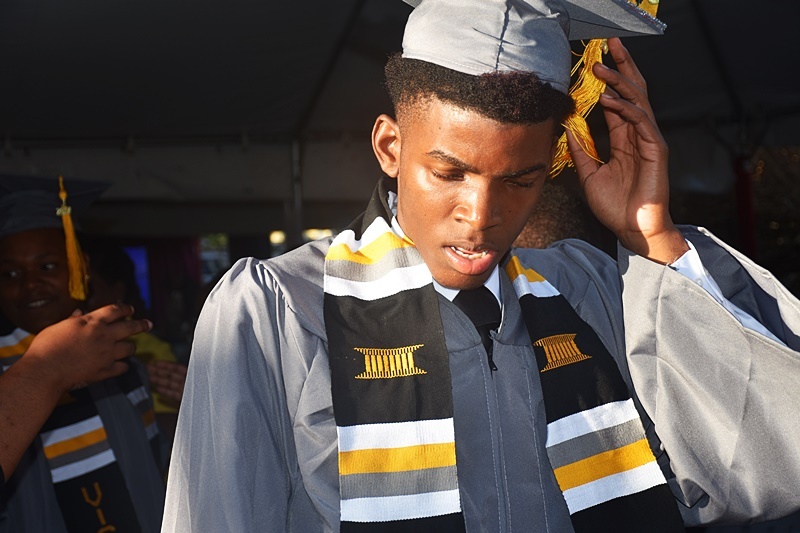 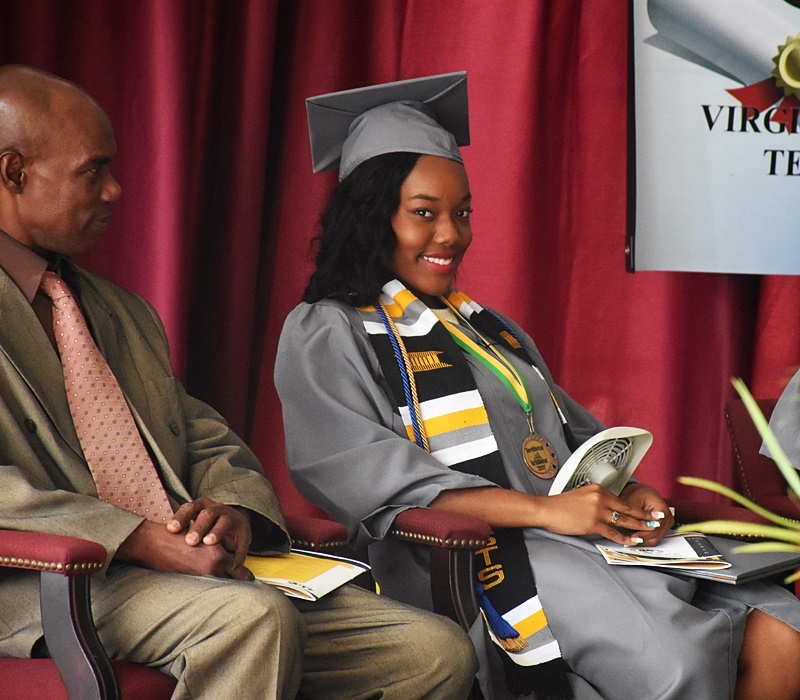 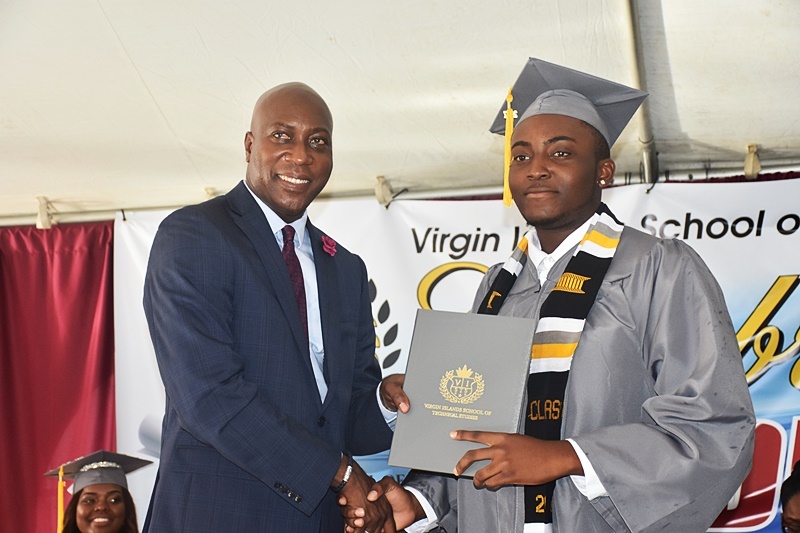 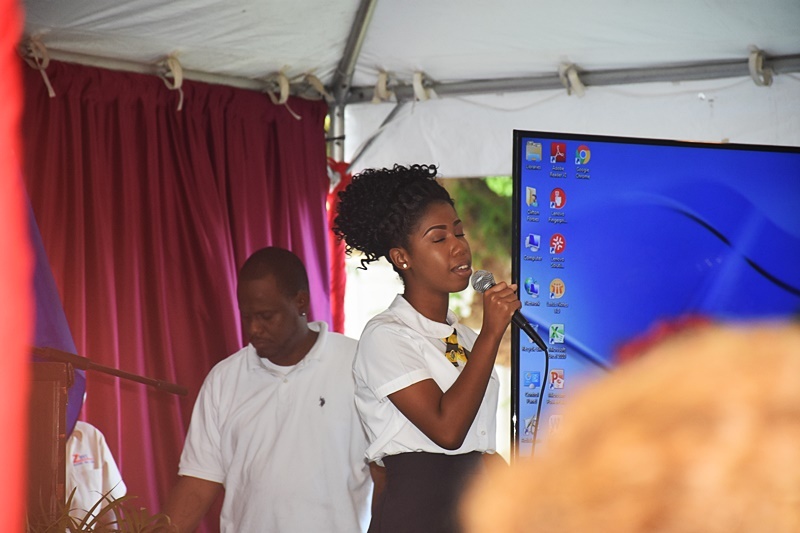 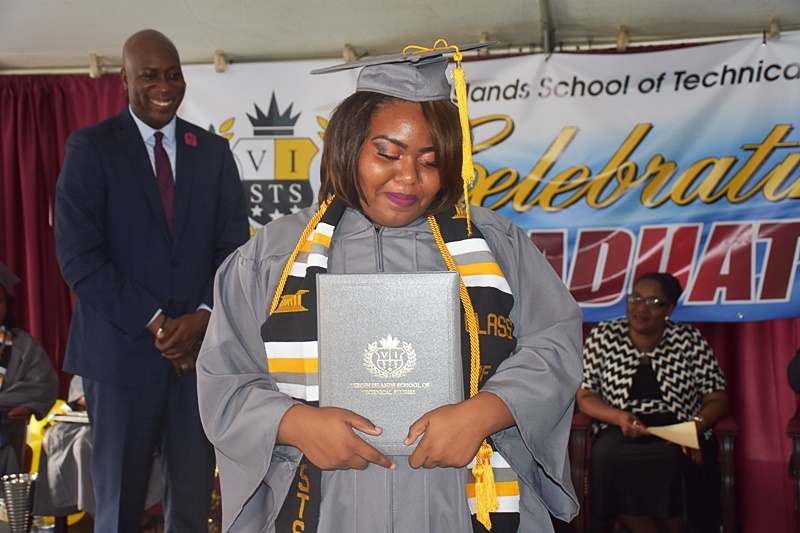 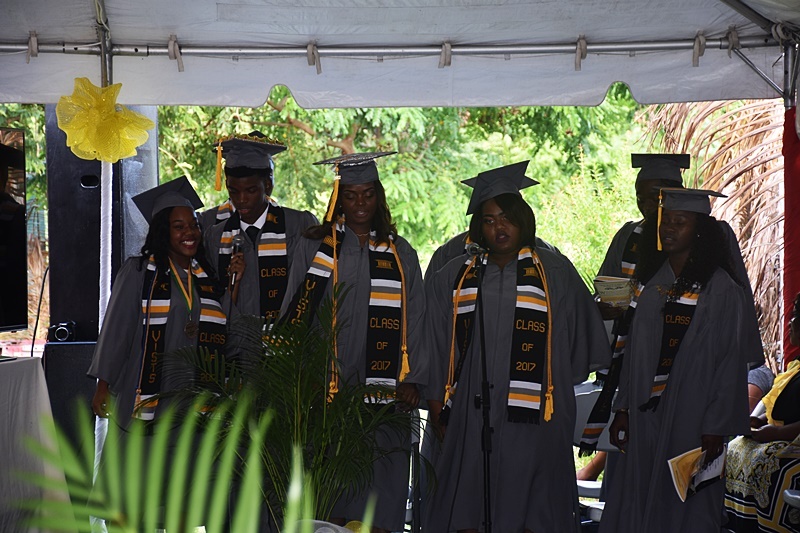 In an atmosphere filled with pride and even the merry sound of vuvuzelas, eight students celebrated the completion an educational journey into technical studies – a field into which too few natives of the British Virgin Islands (BVI) are willing to venture. 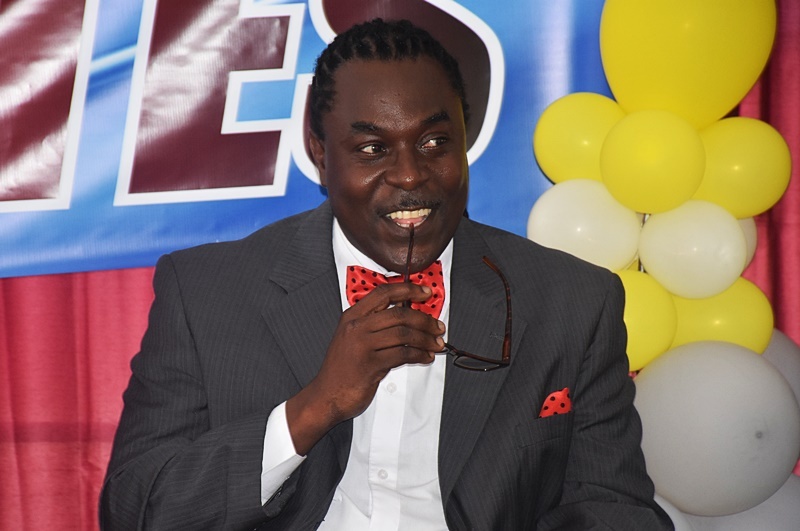 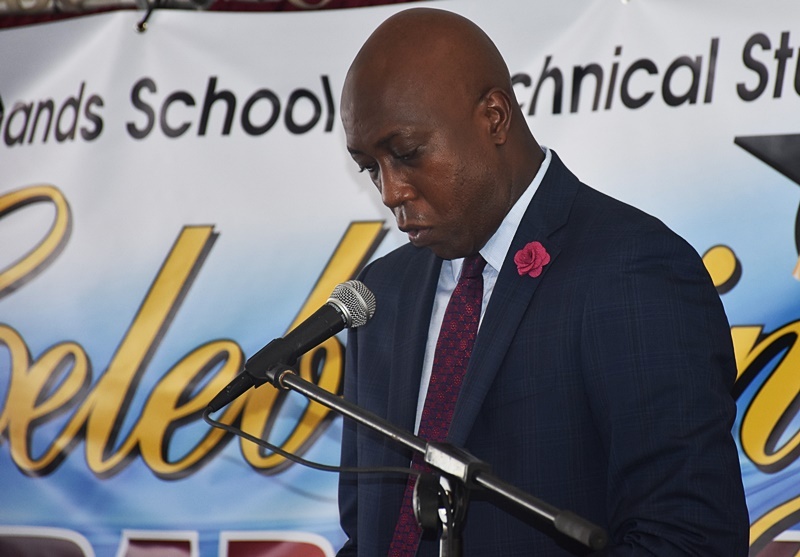 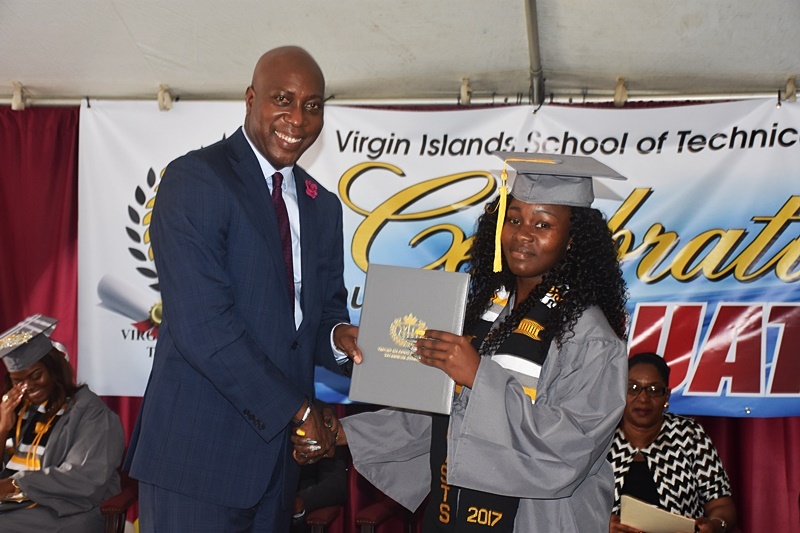 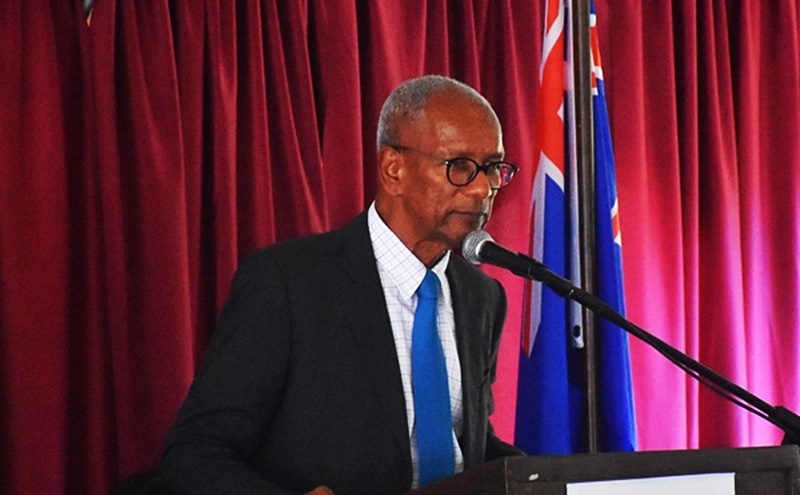 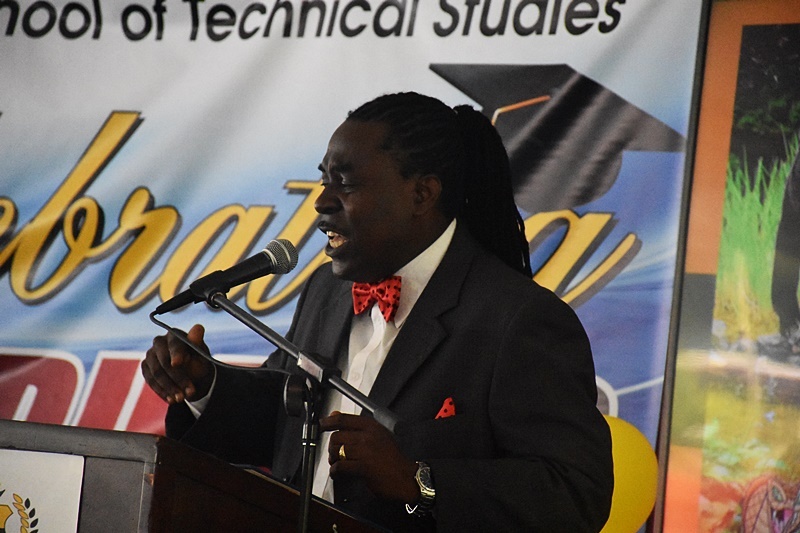 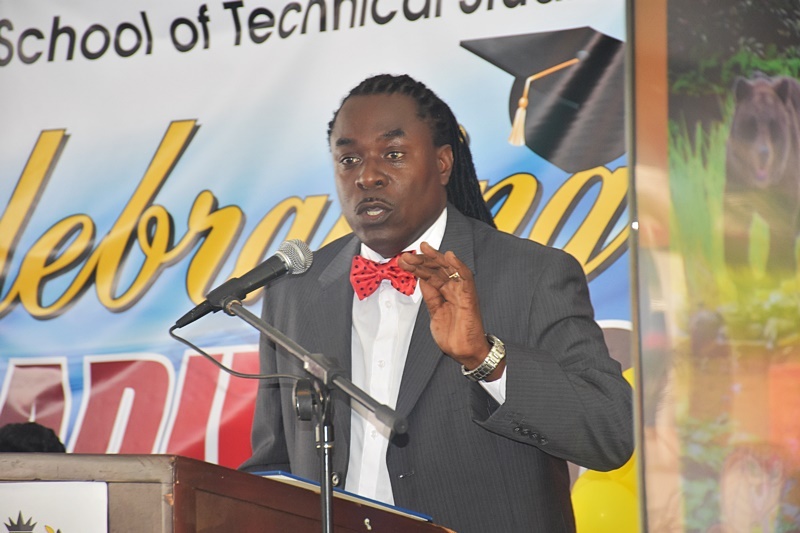 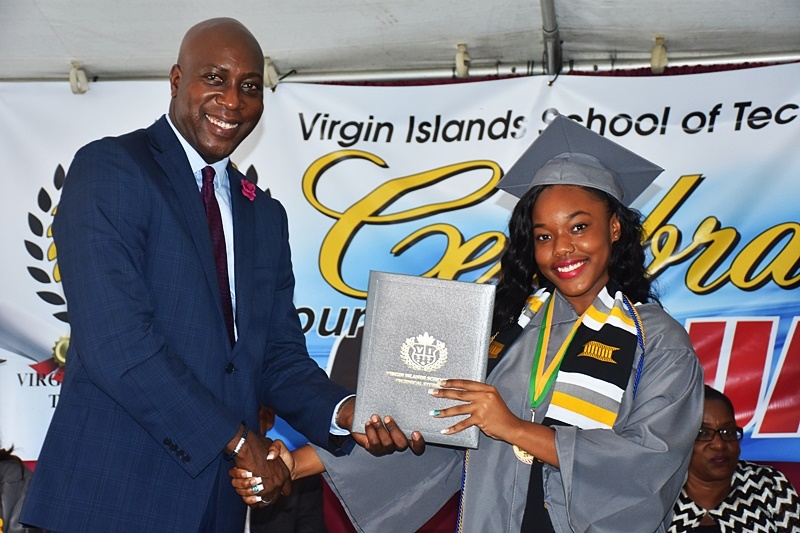 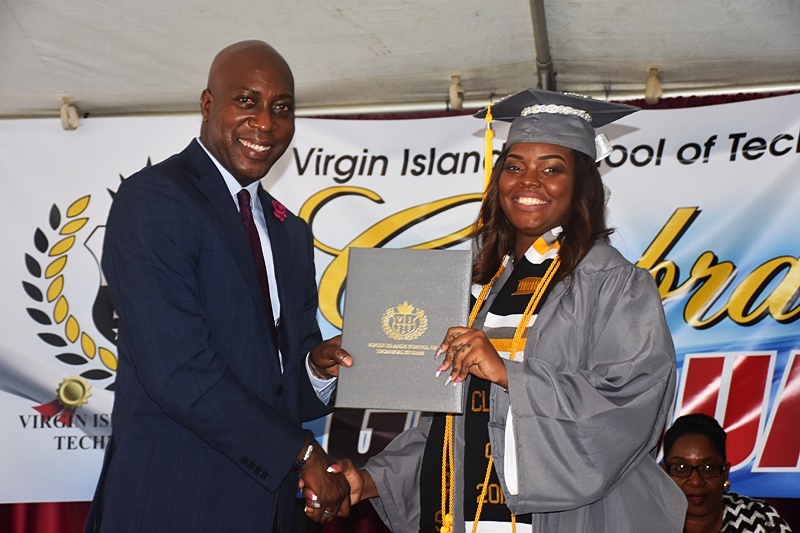 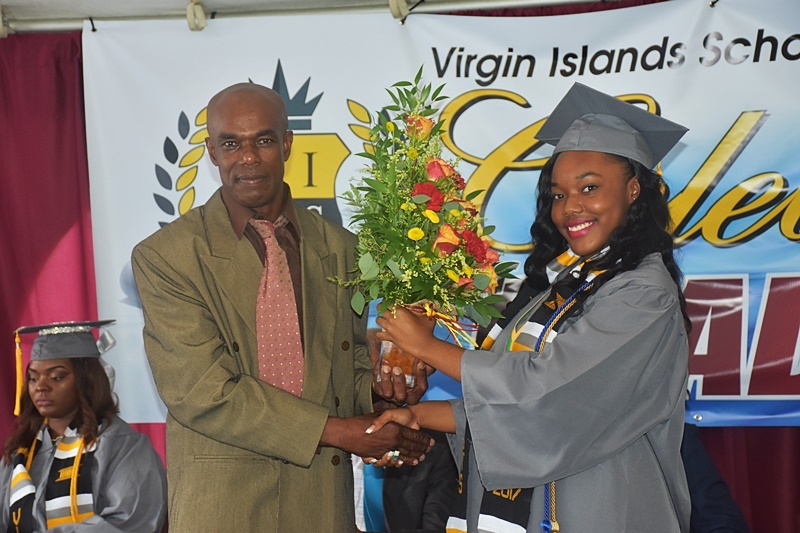 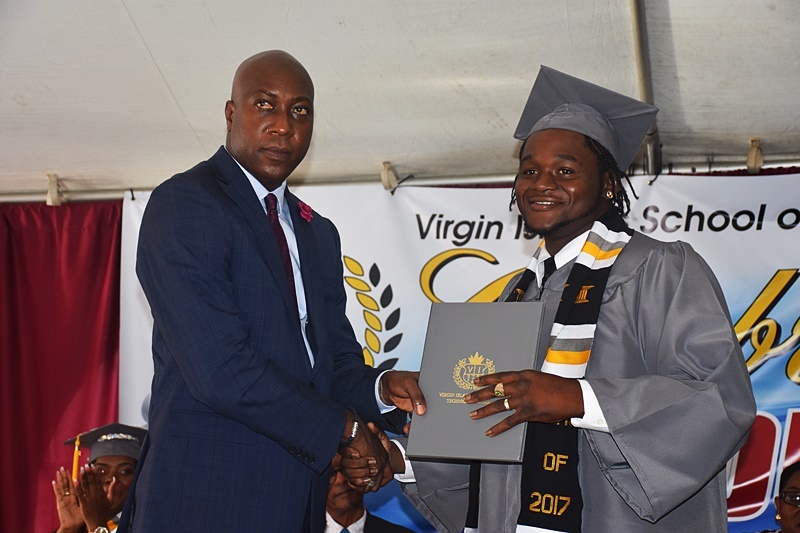 “No society can function well without technical experts to do very necessary and important things,” Minister of Education Myron Walwyn yesterday declared in an address to the 2017 graduating class of the Virgin Islands School of Technical Studies (VISTS). 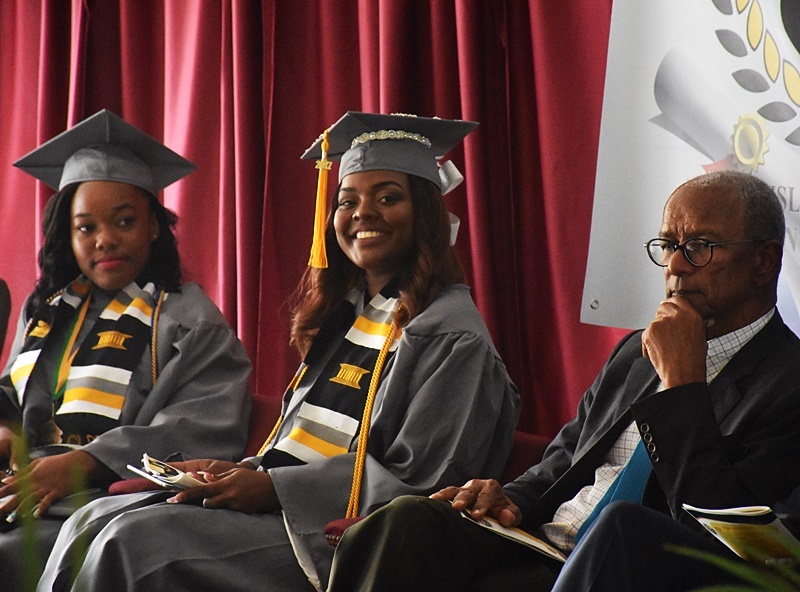 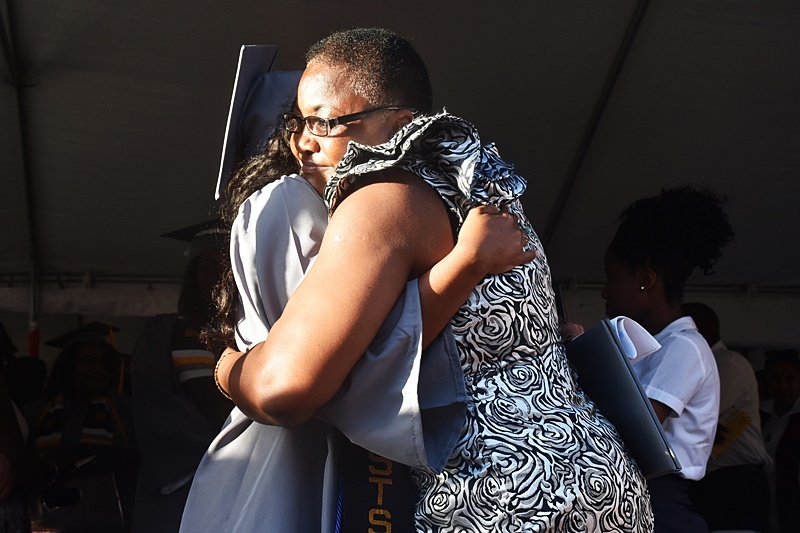 The fact that students – though a few – have been heeding the call for a greater interest in technical studies made the graduation extra special. 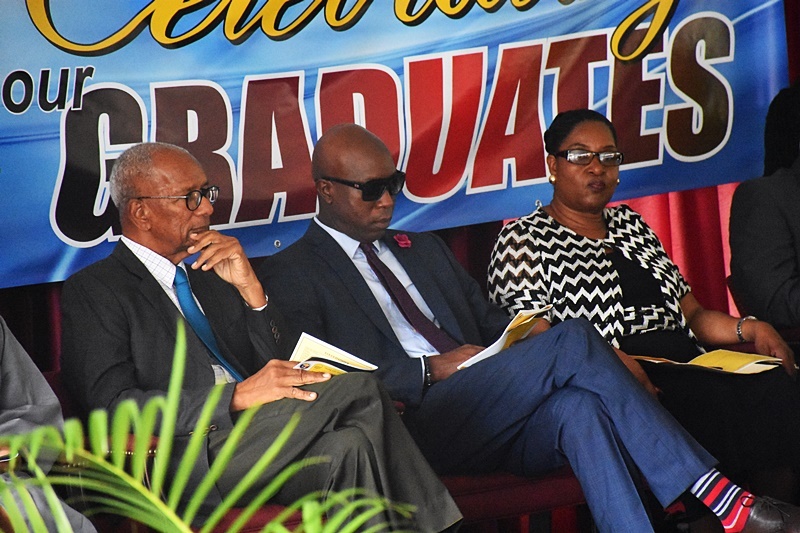 “Today is an extra special day for the institution. 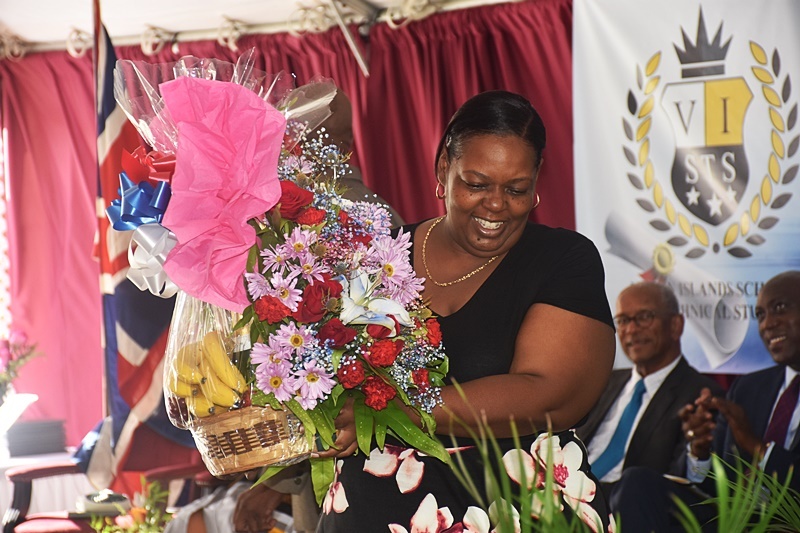 I do not believe that anyone ever imagined that the top student in the territory would come from this school,” the education minister added. 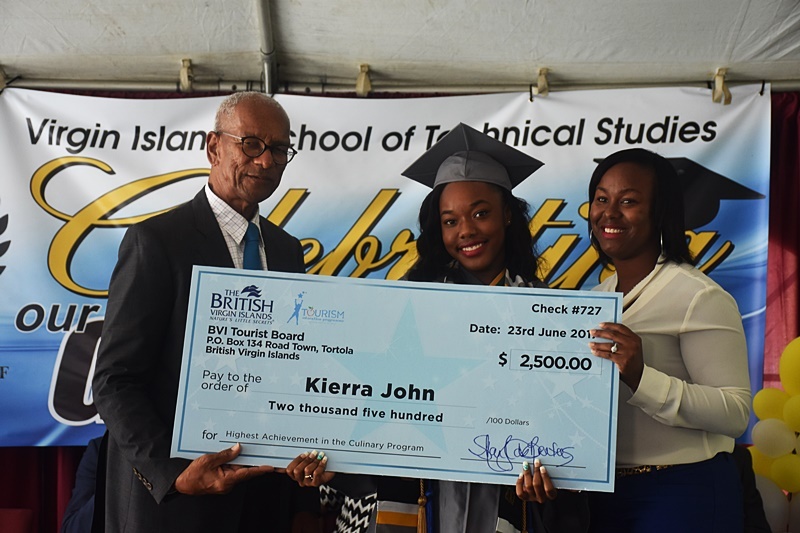 The top student, Kierra John, earned a Grade Point Average of 4.3. 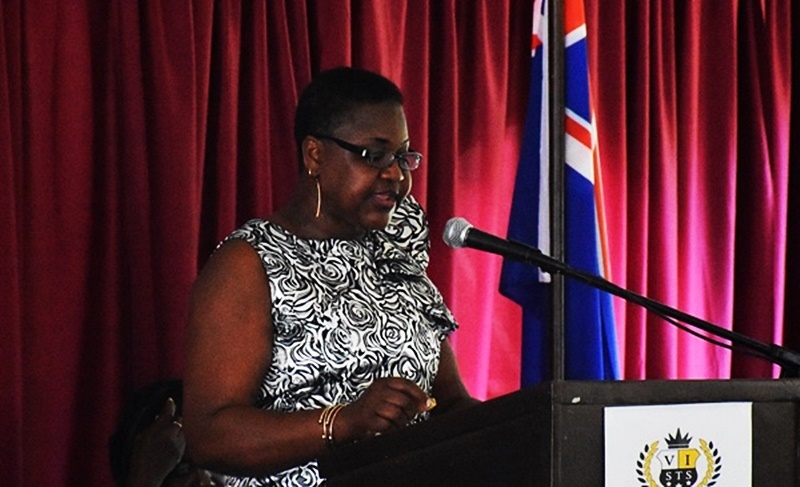 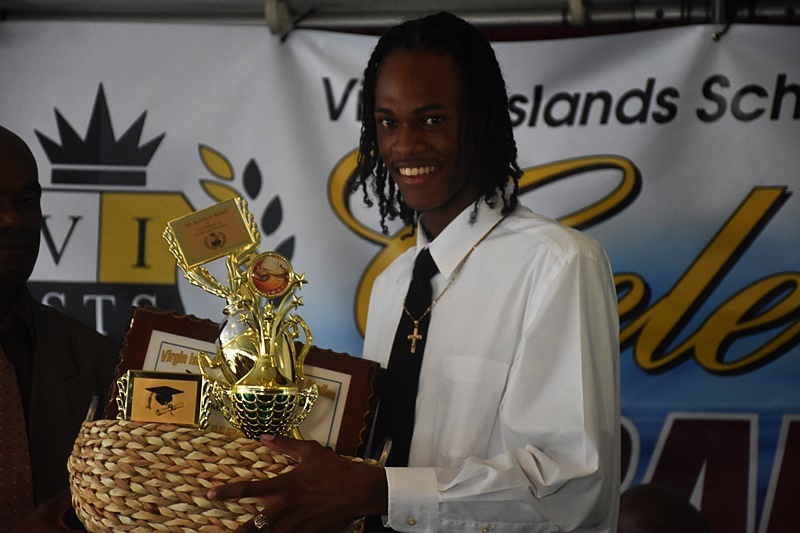 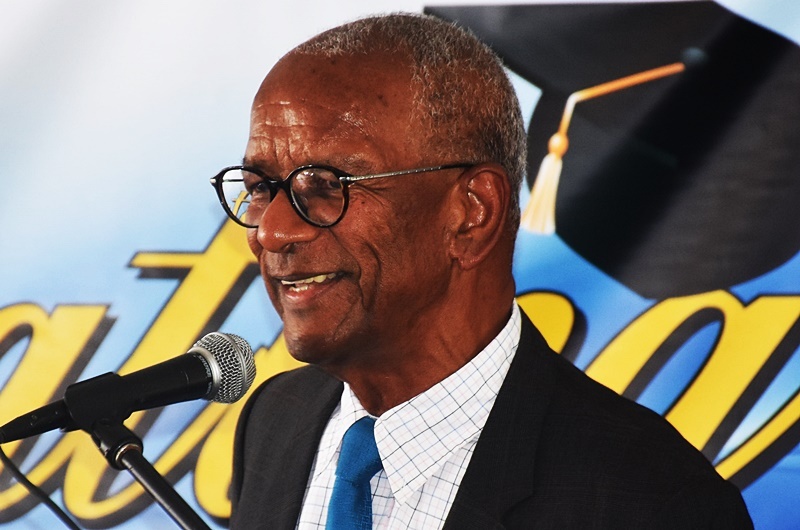 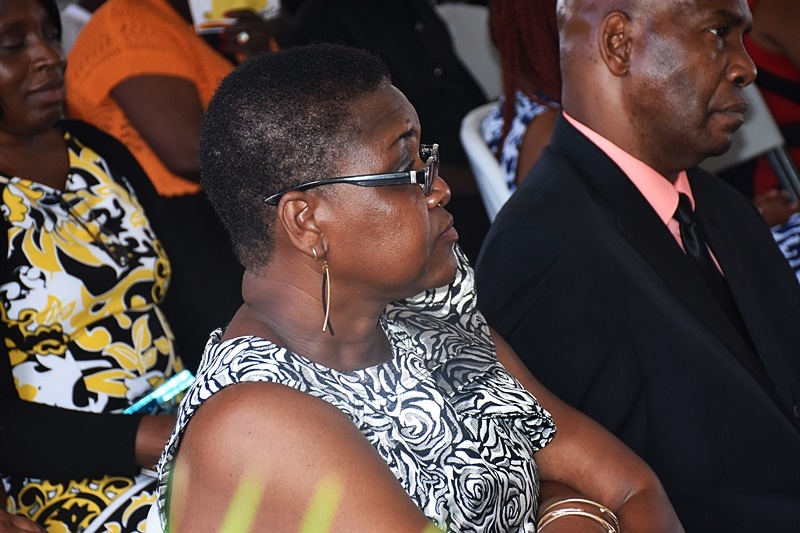 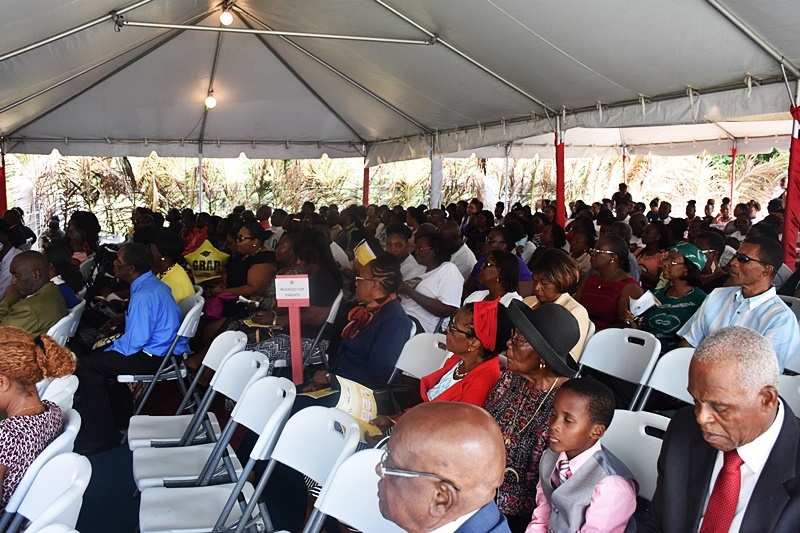 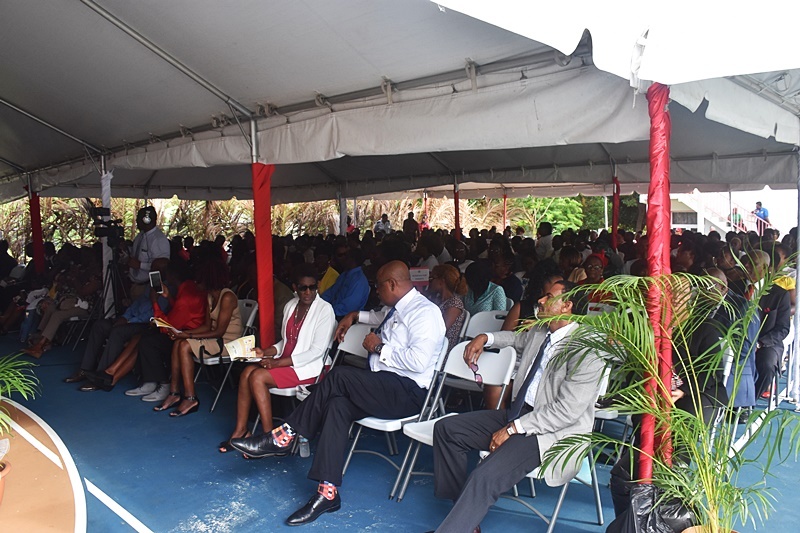 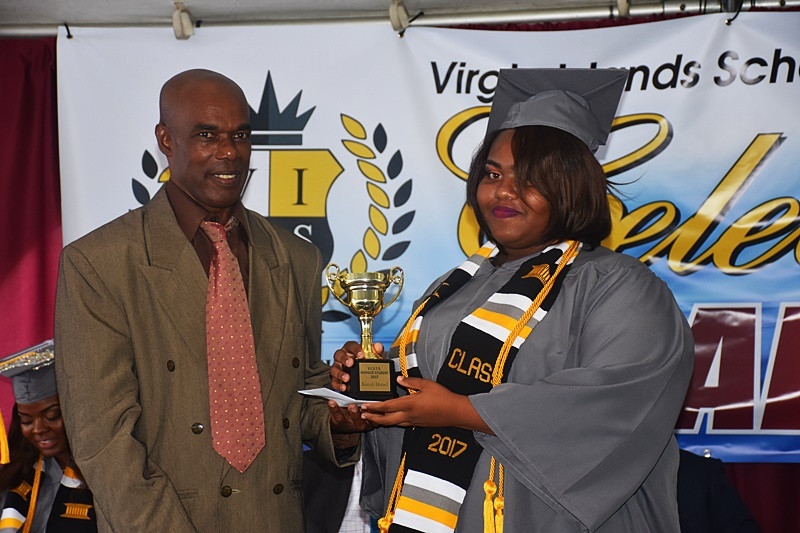 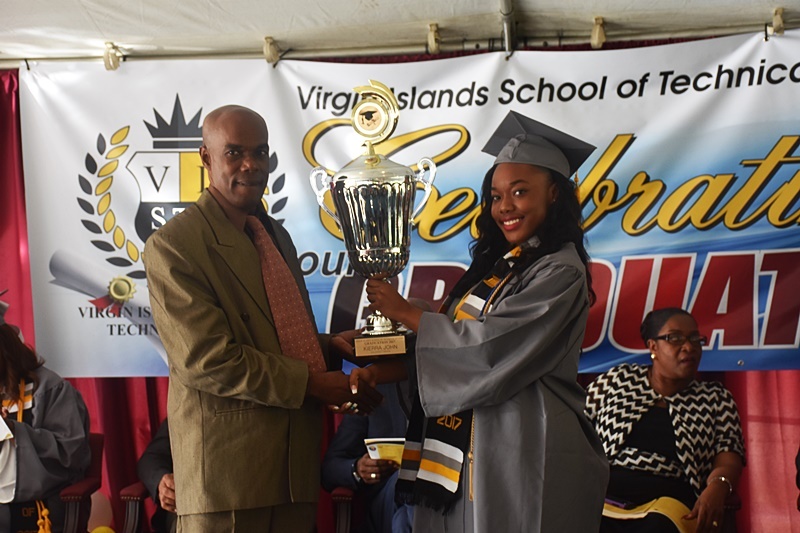 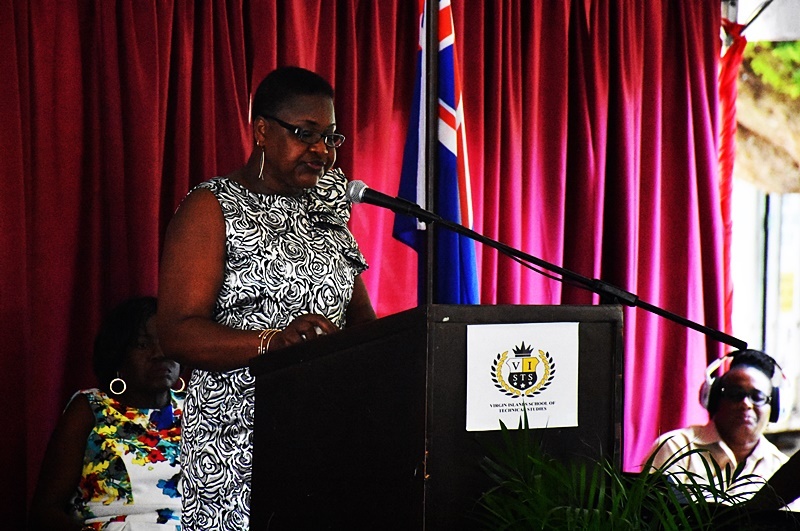 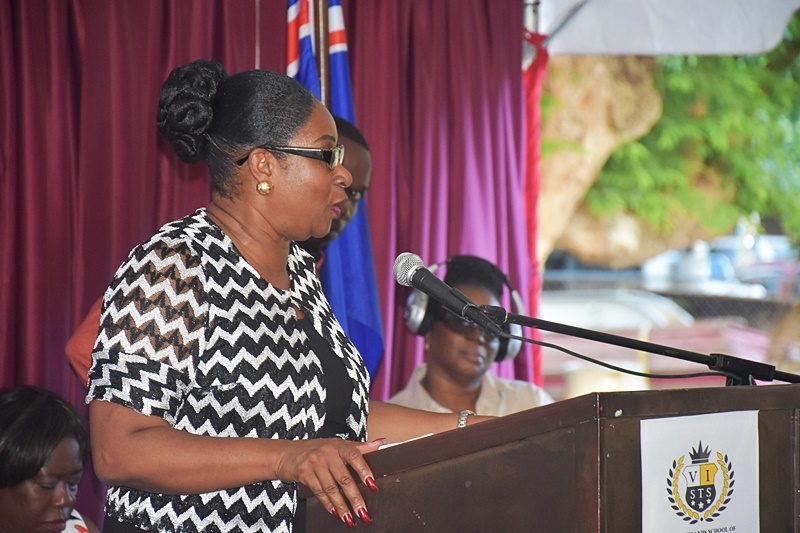 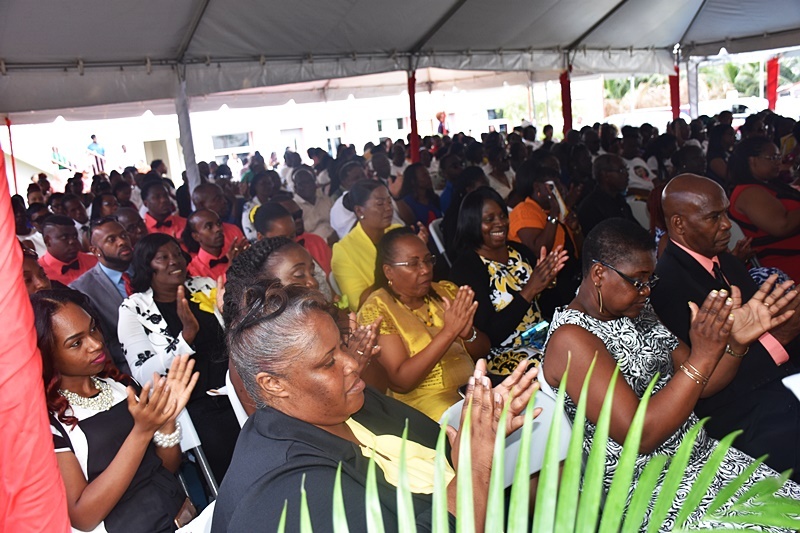 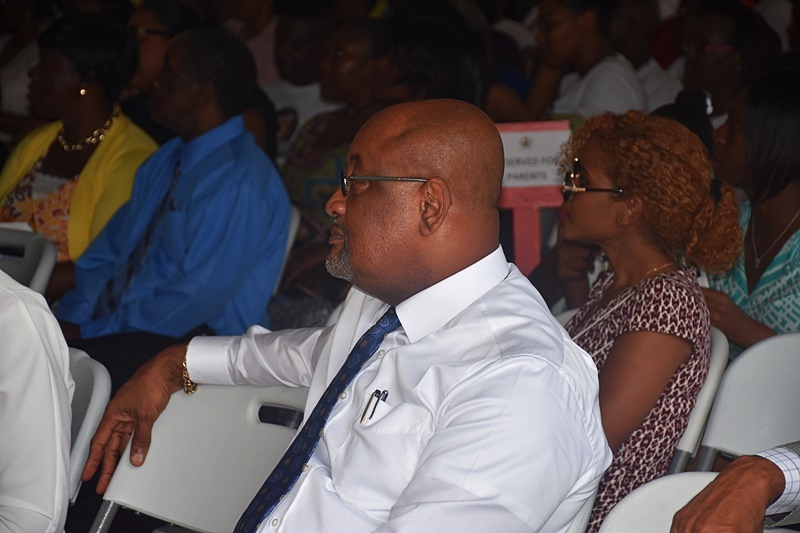 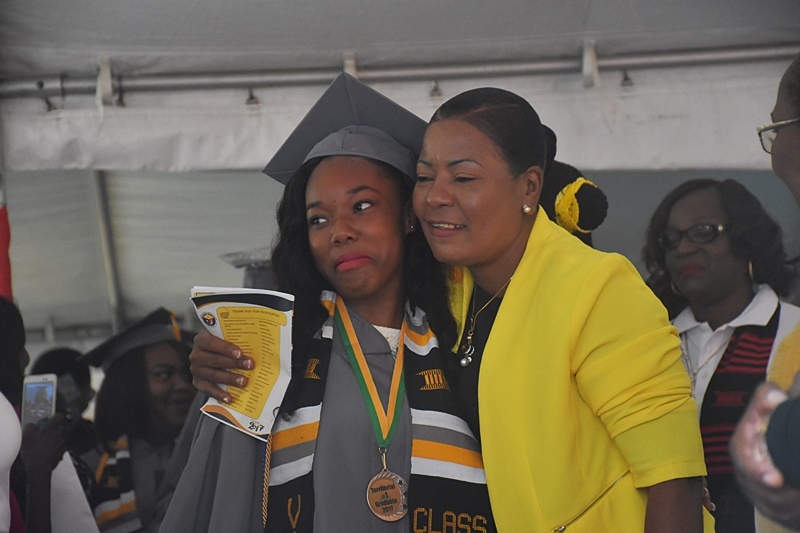 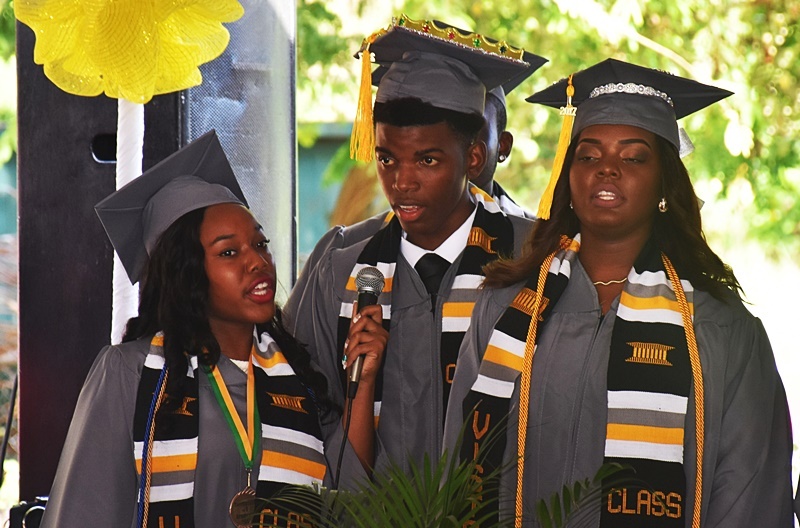 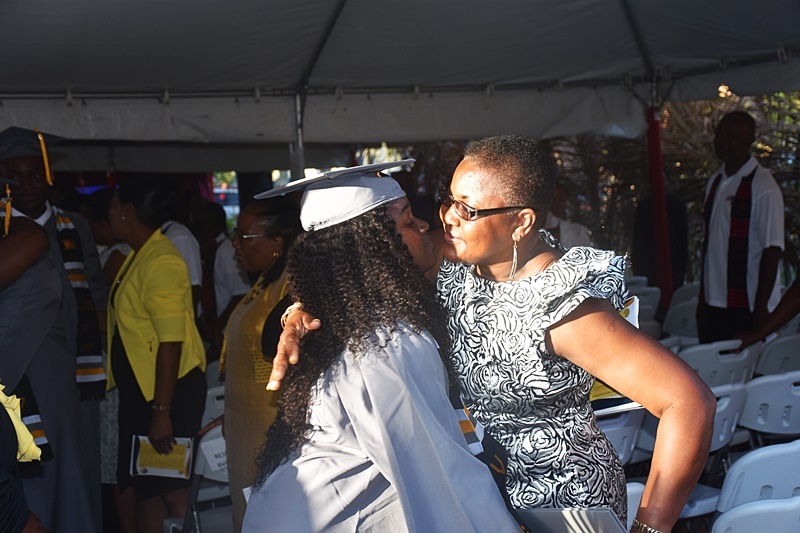 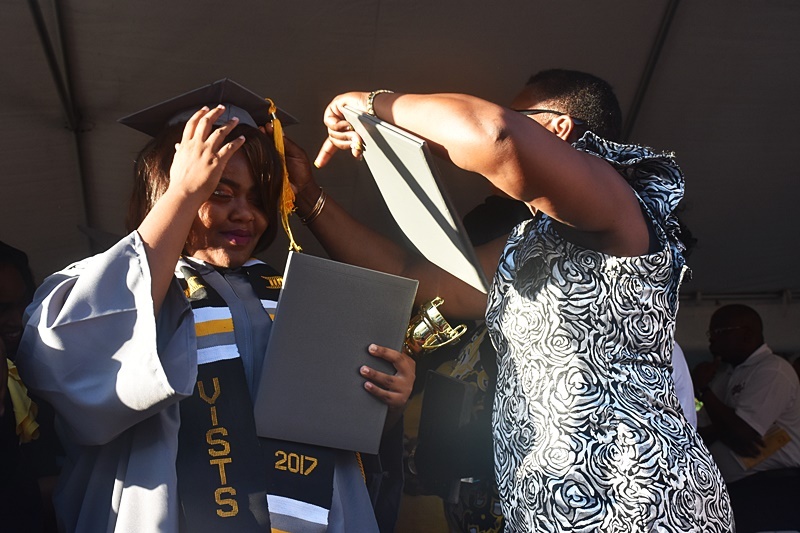 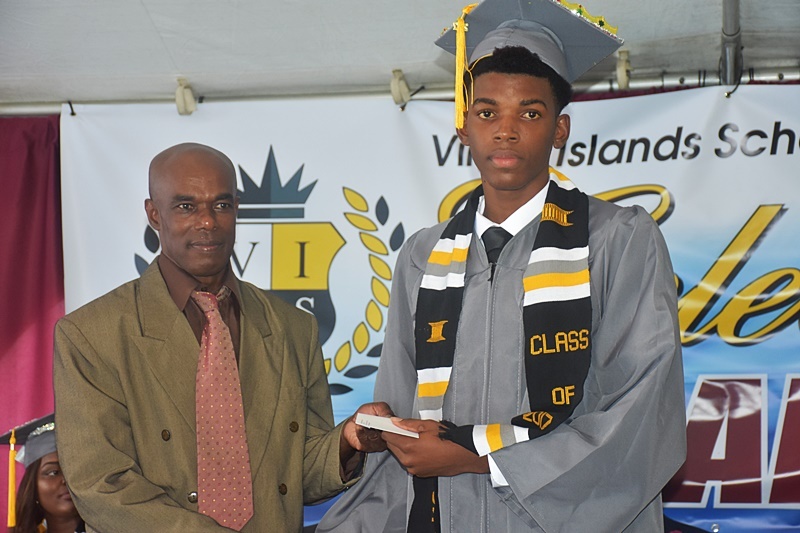 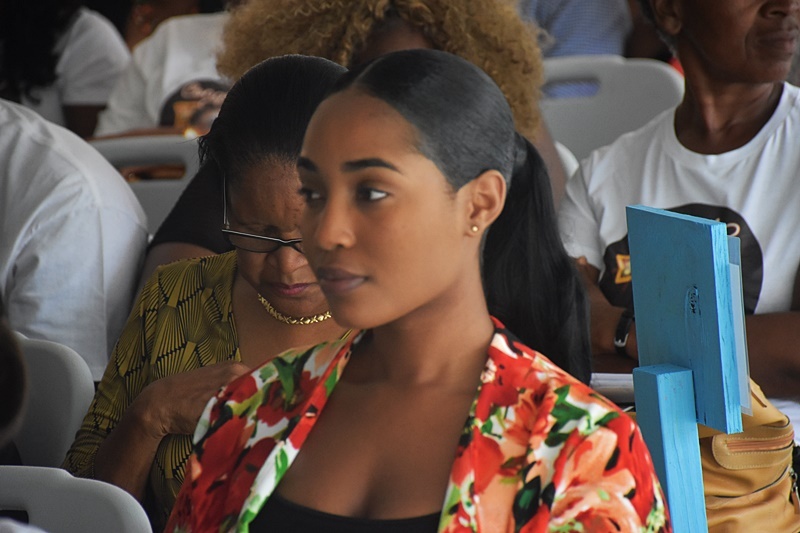 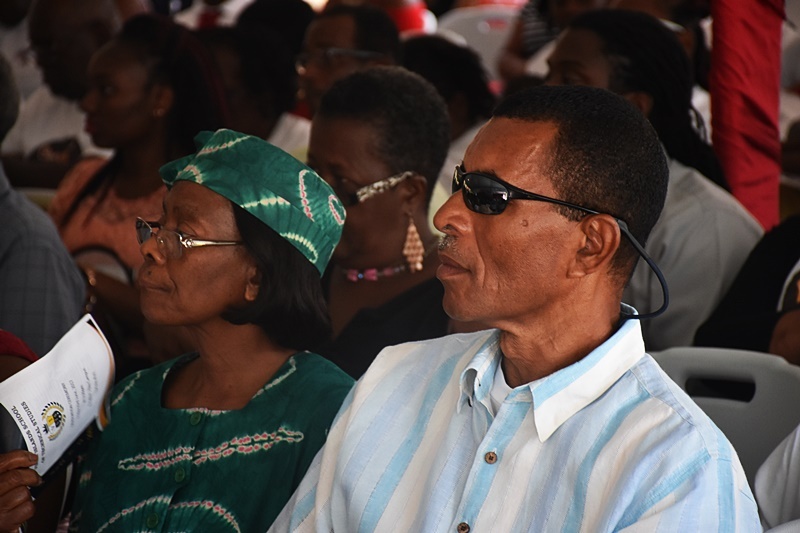 VISTS Principal Germaine Scatliffe, during the graduation ceremony, bragged that honour students at her school have better quality performances than those at the top-ranking school in the territory. 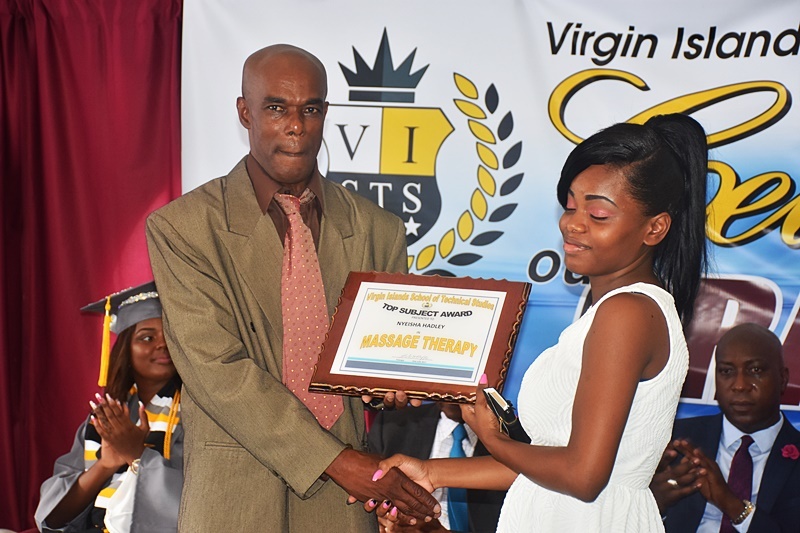 Not all about pass rate! 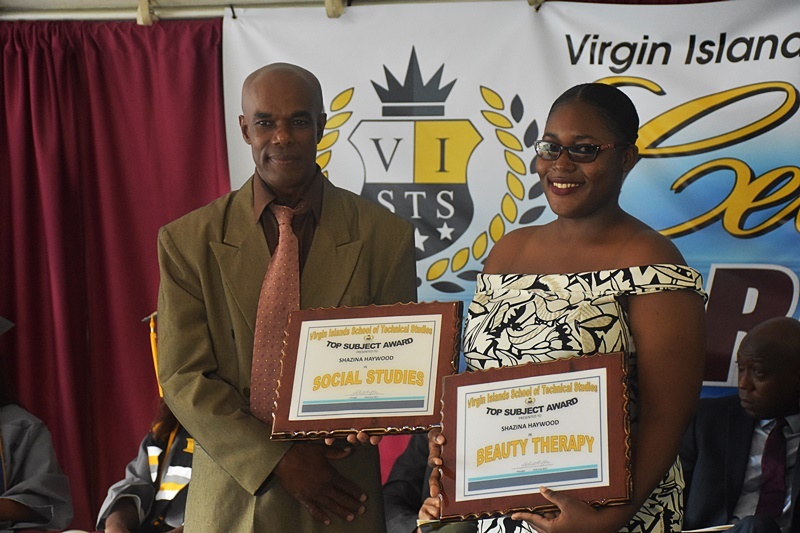 Of the four public secondary schools in the territory, VISTS had the lowest pass rate in this year’s secondary school leaving assessment. 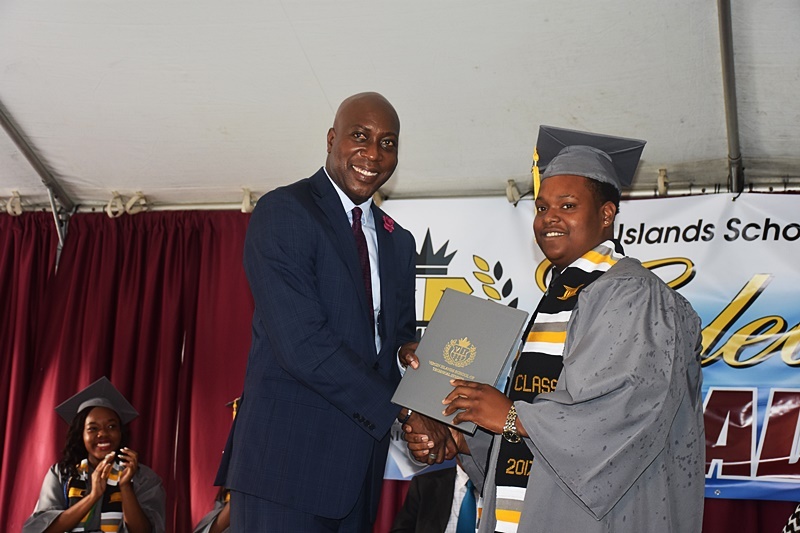 Twenty-four students enrolled in the school’s Grade 12 programme, and 33 percent passed. 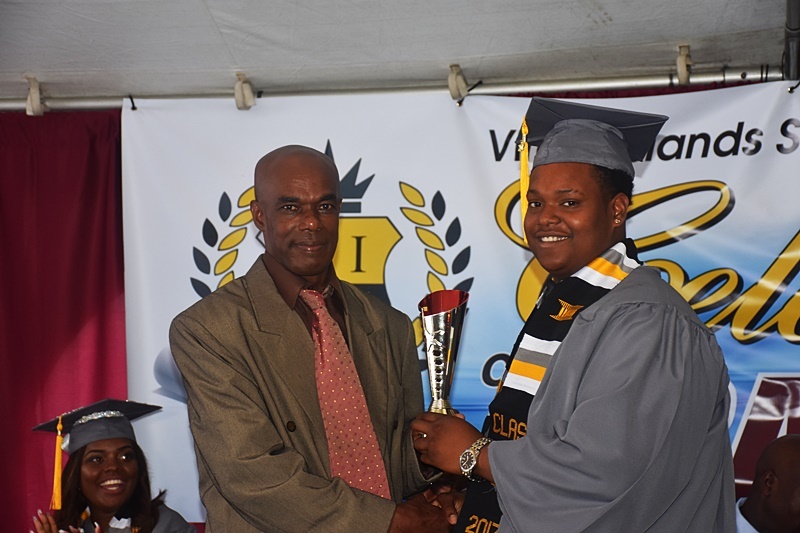 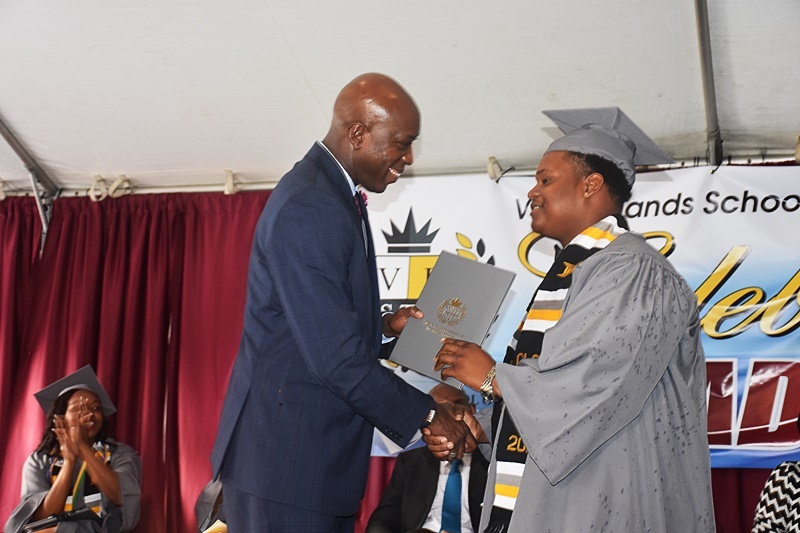 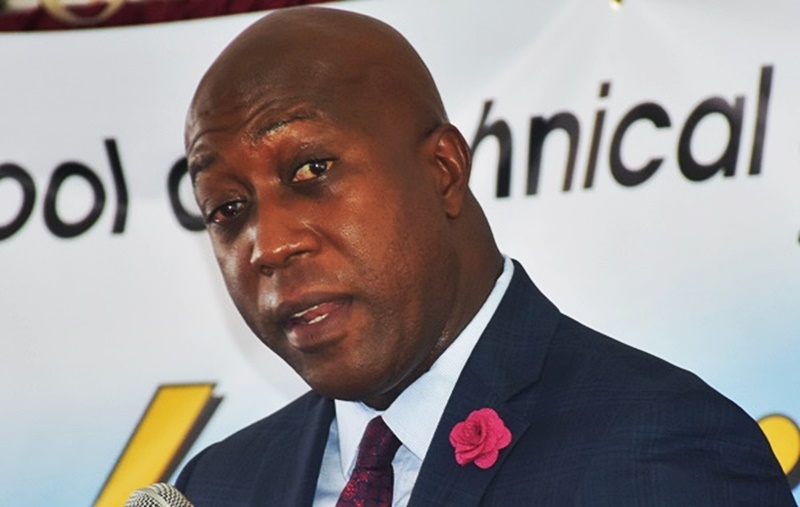 The education minister, Walwyn, recently disclosed that one of the VISTS students received high honour while 15 received honours. 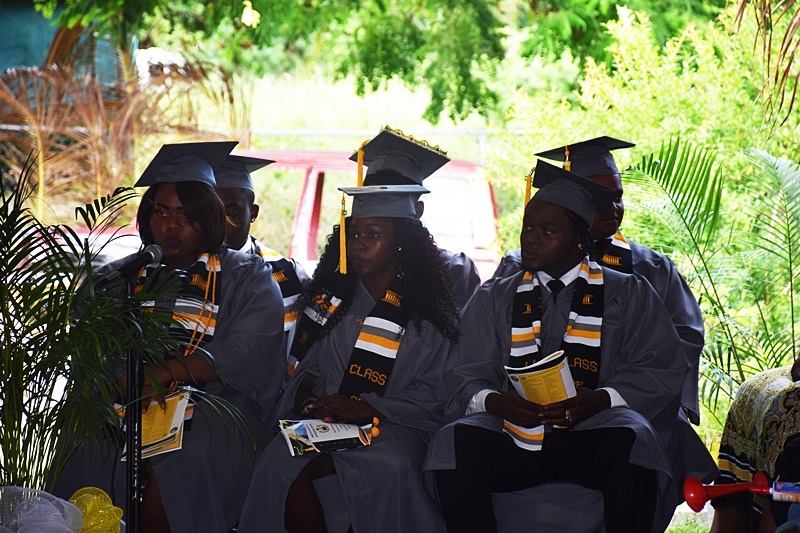 “We celebrate only eight graduands today (June 23) who have met full requirements for graduation. 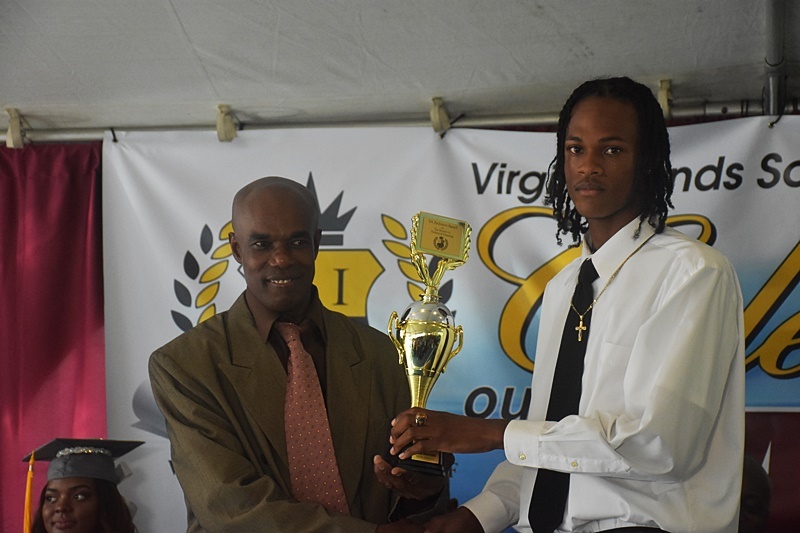 We have another five students who only need to qualify with the Exit Math Exam. 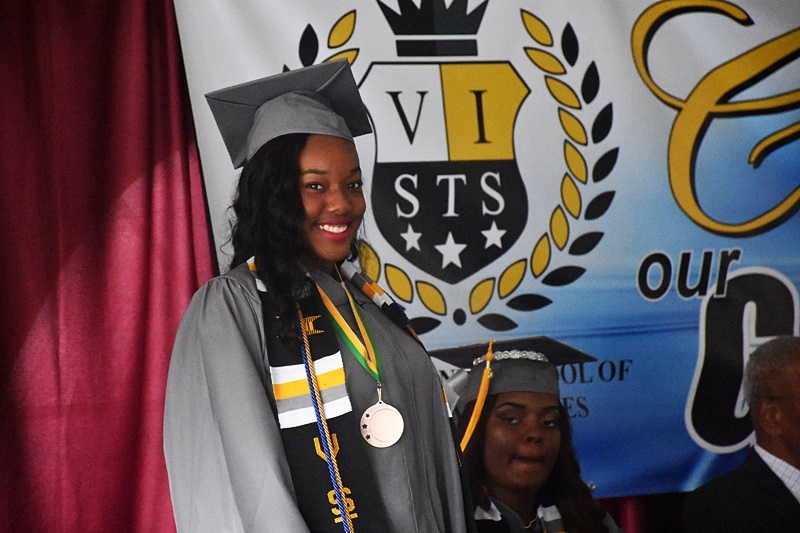 The majority of the remaining students need only one subject to fully meet the requirements for graduation. 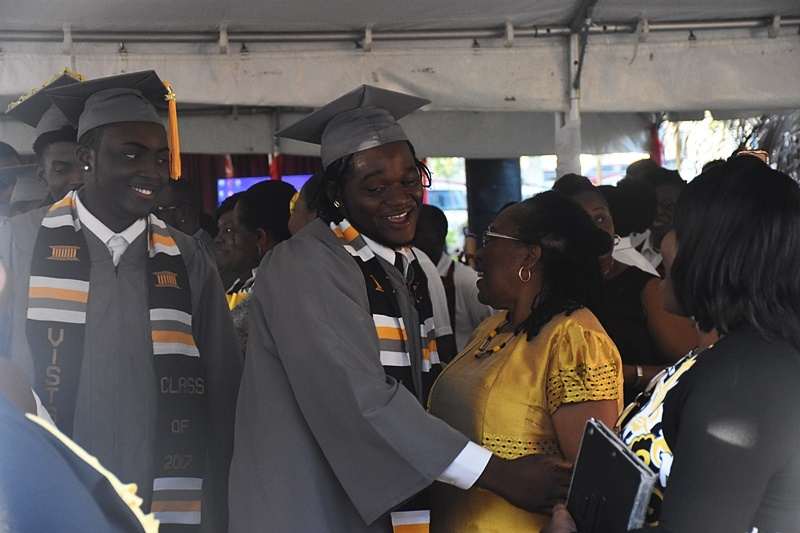 Looking at where these students came from and what they have accomplished is greater than the percentage pass of 33 percent,” Scatliffe added. 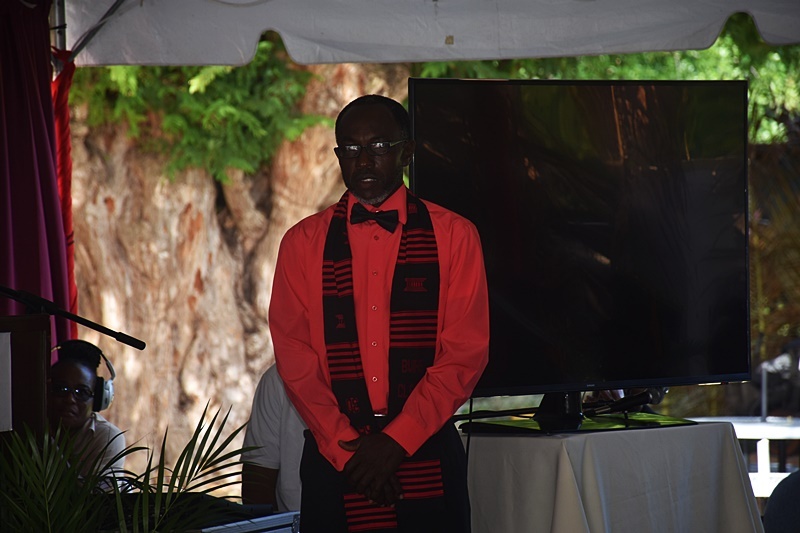 In the meantime, the territory’s top performing student, John, told her VISTS batch-mates who did not graduate to persevere. 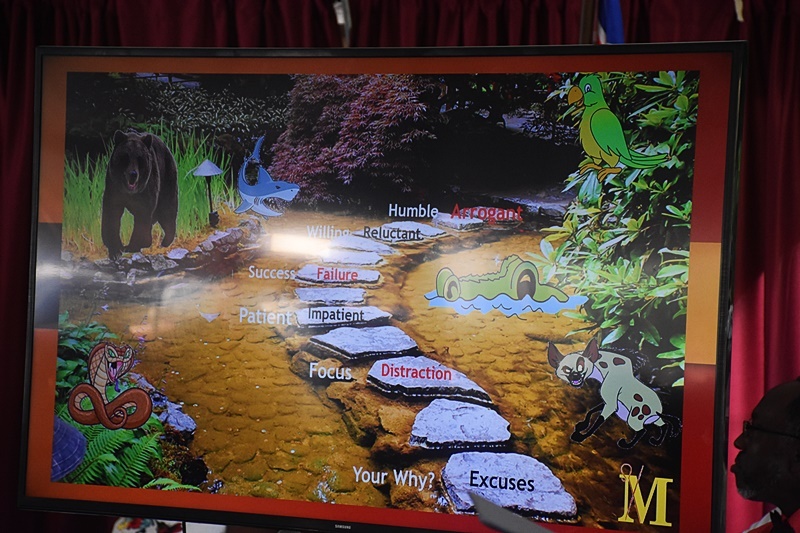 “You won’t give up, because you made it this far and this obstacle is a mere pebble in front of the finish line. 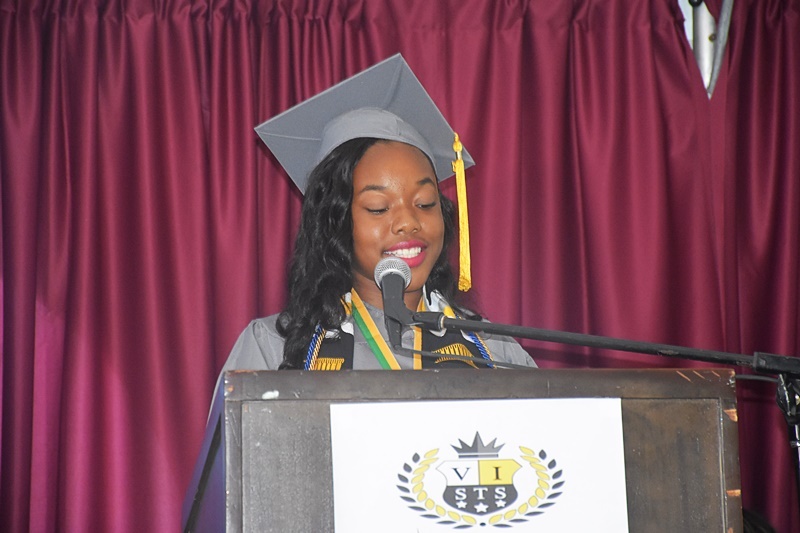 Remember, with God and tenacity the choice is very clear – choose to endure to the very end,” she said in her valedictory address. 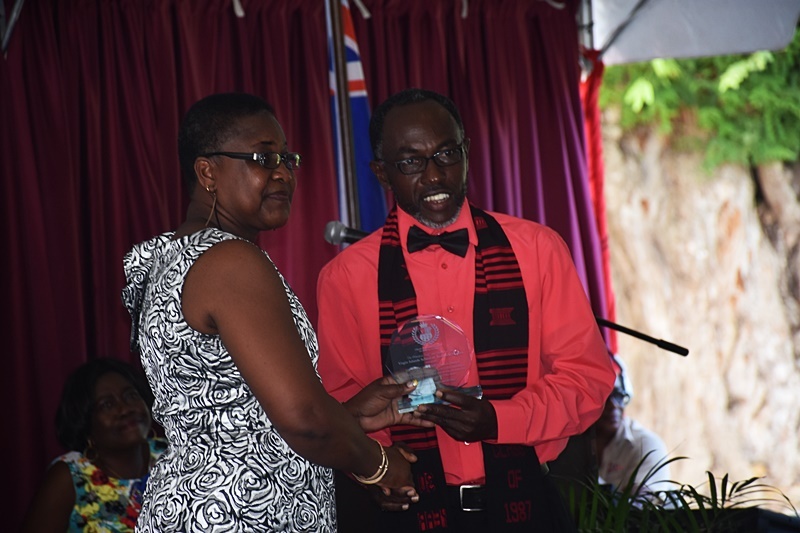 John also expressed gratitude to all who have contributed towards the successes. 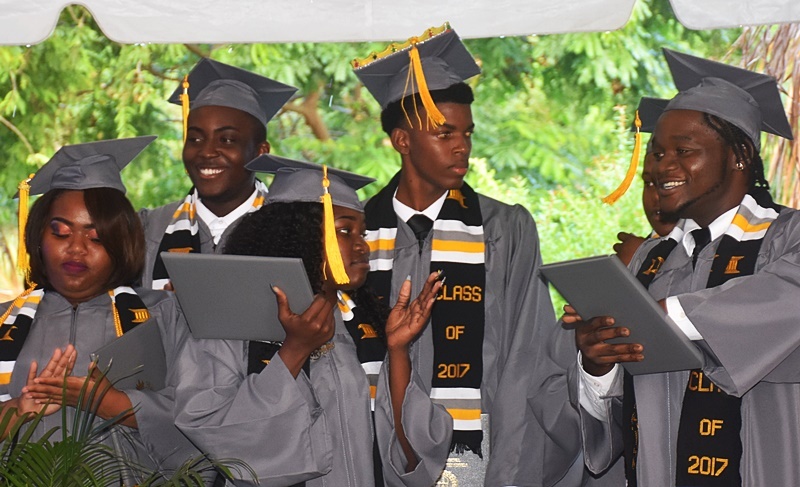 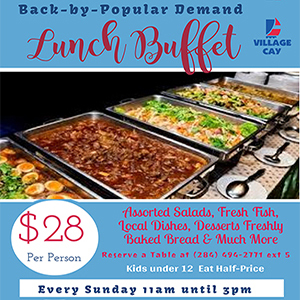 Meanwhile, the eight Grade 12 students who graduated from the school at Baugher’s Bay are: Kierra John, Janyka Jennings, Kiarah Daniel, Shakeeda Castello, Shiquille Pont Jr, Lenox Matthew Jr, Tyler Frederick Jackson, and La’Qhoy Reid.